What I get if I buy the audio pack for a list? 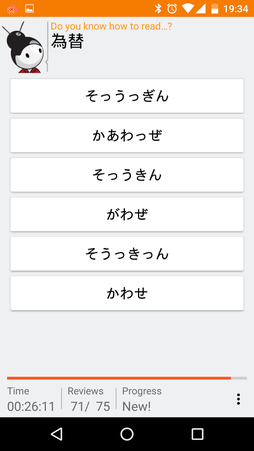 You get the audio questions and unlock the kanji write feature for the list. Additionaly the ads are removed and limits in custom lists. 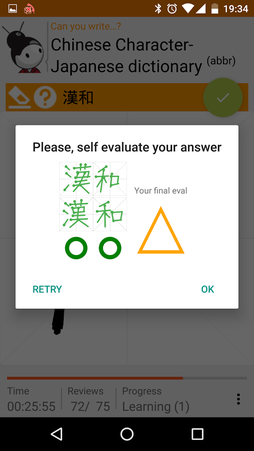 How can I reset my progress? How to use the Custom list license? 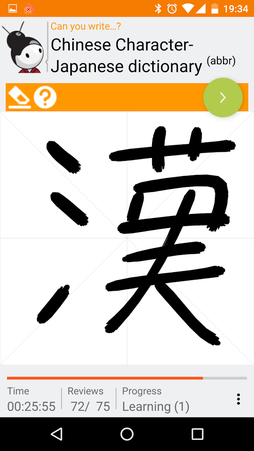 You can buy a custom list license and assign it to a custom list to activate the write kanji questions for all vocabulary included in that list. Vocabulary already unlocked because you already own the audio pack don't need the custom list license.